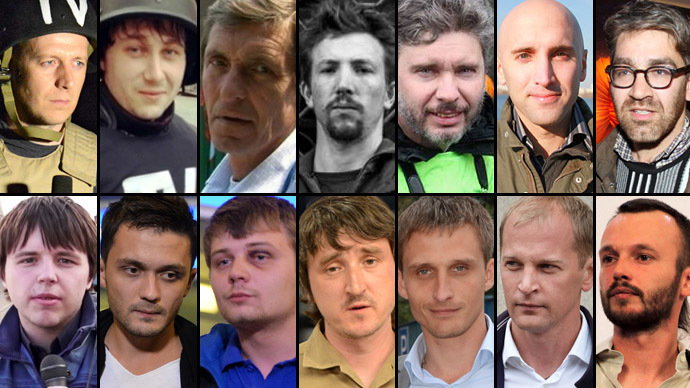 As human rights organizations call for an end to repression against the press in Eastern Ukraine, RT recalls the journalists who were abducted, tortured or paid the ultimate price and lost their lives while reporting from the heart of the civil war. Eastern Ukraine has been dubbed a “trap for journalists” by Human Rights Watch’s representative in Russia as the deepening crisis has already taken the lives of six journalists since the beginning of the year. Many more journalists have been abducted, interrogated and even tortured while caught in the crossfire in the fighting between the Ukraine Army and the militia forces of southeastern Ukraine. RT takes a look at some of the deadliest and most brutal incidents. 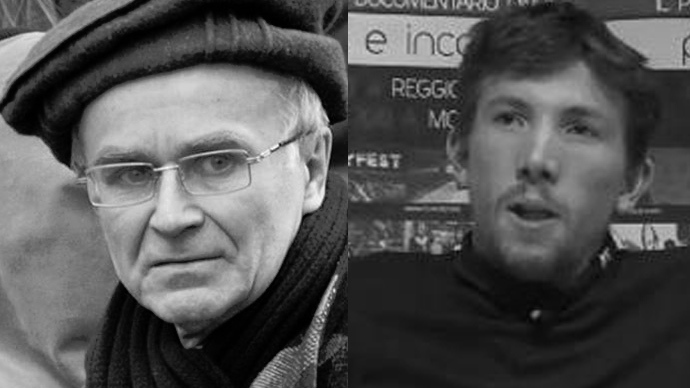 Igor Kornelyuk and Anton Voloshin both worked for Rossiya TV channel. On June 17, Kornelyuk, a correspondent for Vesti, and Voloshin, a video engineer, were killed during a mortar shelling of the Metallist and Mirnoye villages near Lugansk. They were the first Russian journalists to have died in the line of duty in Ukraine since the coup in Kiev and the beginning of civil unrest in the eastern regions. On June 30, a cameraman from Russia’s Channel One television, Anatoly Klyan, was killed by law enforcement agencies in the eastern city of Donetsk. Klyan, along with a few other journalists, boarded a bus full of women – mostly mothers – who were traveling to a military base in Donetsk to demand the disbandment of a military unit where their sons had been recruited to serve. He was wounded in the stomach as the bus was shelled and died on the way to the hospital. Italian journalist Andrea Rocchelli was hit along with his interpreter, Andrey Mironov, by Kiev’s mortar fire near the village of Andreevka, a couple of kilometers from Slavyansk, on May 25. Rocchelli was covering the ongoing conflict ahead of the snap presidential elections. On August 5, Rossiya Segodnya (formerly RIA Novosti) news agency received photo-journalist Andrey Stenin’s last report before he went missing. 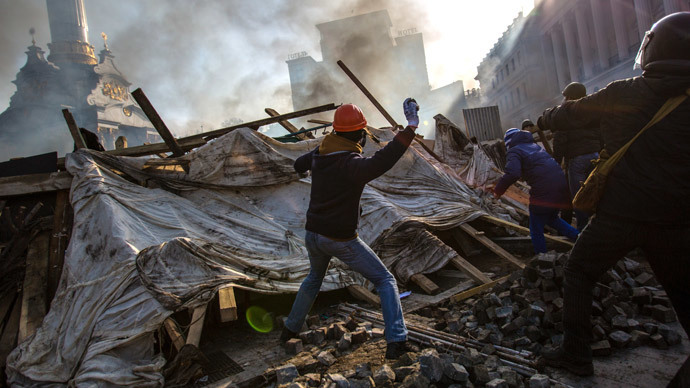 He reported from the center of the Ukrainian crisis, beginning with Kiev’s Maidan protests in November following onto the horrors of Odessa, then in the Crimea, and most lately, the fierce fighting in parts of east Ukraine. 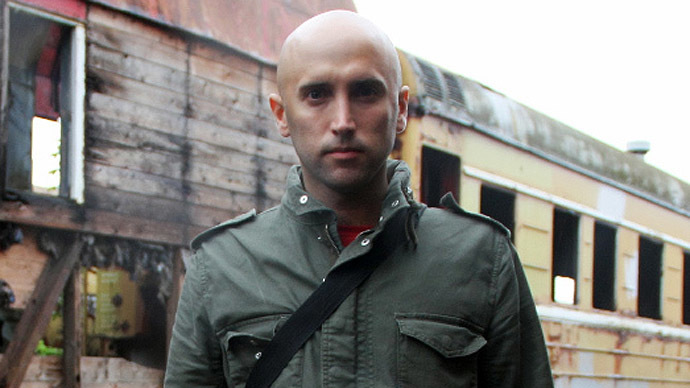 Graham Phillips, a UK national, has been working as a freelance journalist and as an RT contributor in eastern Ukraine. He was detained by Ukrainian security service twice. First he was detained in May at a checkpoint near Mariupol and held captive by the Kiev military for over 36 hours. Then in late July he was captured at the Donetsk international airport, interrogated and allegedly tortured for reporting about the developments in Ukraine. 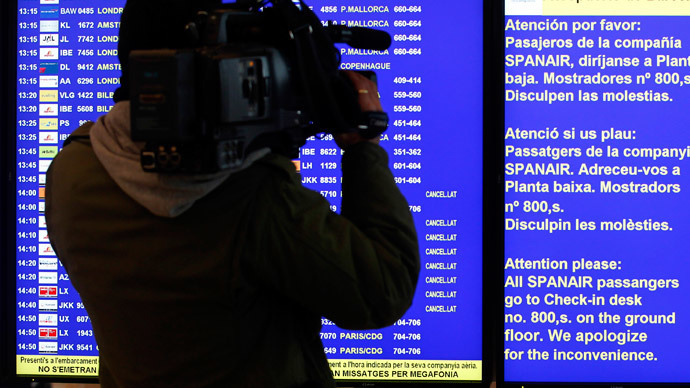 Following his release, Graham was banned from returning to Ukraine for three years. On April 21, Simon Ostrovsky was taken captive in Slavyansk by the local militia while producing "Russian Roulette," a series of video reports for Vice News. He was interrogated on the basis of claims that he had links to the far-right group Right Sector. He was held captive in a basement in the local SBU headquarters for four days and then released. On July 22, Anton Skiba, a freelance Ukrainian journalist working for US news network CNN, was captured by the local militia in Donetsk. He was questioned on suspicion of having multiple forms of identification with different surnames. 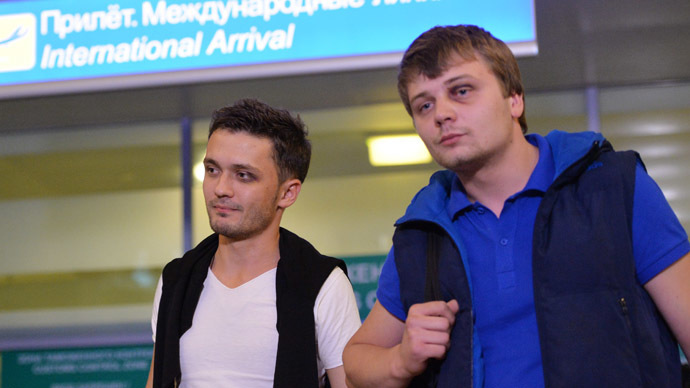 Russian journalists Evgeny Davydov and Nikita Konashenkov, working for working for Zvezda TV channel, were captured by Kiev’s forces on June 14 while on their way to the airport in Dnepropetrovsk, heading back home. They were interrogated and tortured by the Right Sector group, as they described their abductors, for two days. The journalists said that along with constant intimidation, interrogations and beatings, they received several death threats from their captors. On May 18, two journalists from Russia’s LifeNews, Oleg Sidyakin and Marat Saichenko, were detained near Kramatorsk by Kiev’s forces. 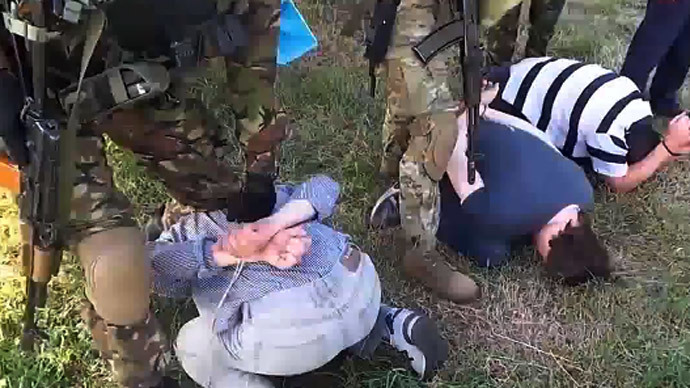 The Ukrainian authorities accused them of assisting “terrorism” in the east of the country while a video of the two was released showing them with their hands tied, kneeling on the ground. The journalists were released after a week. The Ukrainian National Guard detained Zvezda TV channel’s video operator Andrey Sushenkov and sound engineer Anton Malyshev at a military roadblock near the city of Slavyansk on June 6. According to their driver, they were blindfolded and handcuffed during a routine check, and then taken to an undisclosed location. They were held captive for two days and accused of espionage. 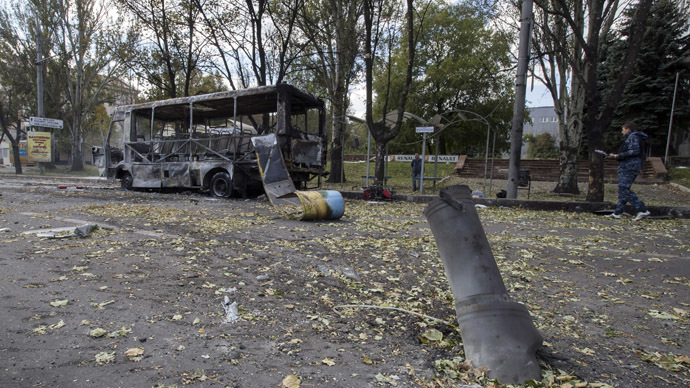 Many more journalists from a range of media outlets have come under fire during the conflict in eastern Ukraine. 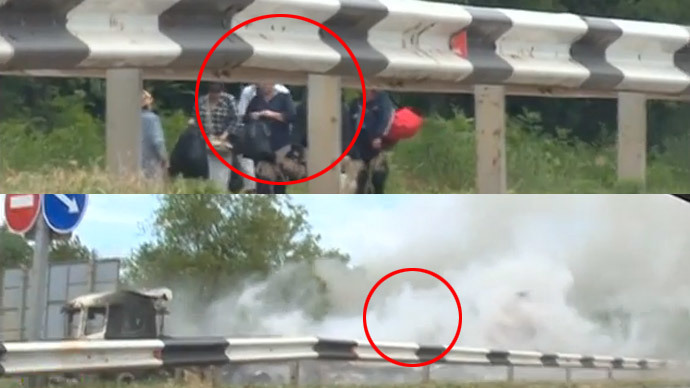 Ukrainian troops have also fired at people with cameras, as well as people wearing protective press vests. The Committee to Protect Journalists (CPJ), a US-based organization promoting the freedom of the press and protection of journalists from persecution, on Wednesday slammed the conditions of press freedom in Ukraine, especially in the eastern regions engulfed by warfare, calling them volatile and deteriorating.